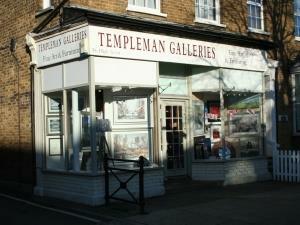 Templeman Galleries is long established on Burnham High Street. The gallery stocks an extensive range of decorative pictures and limited edition prints as well as providing an expert bespoke framing service. The gallery offers a wide range of gifts, home ware, objects d’art as well as an extensive jewellery range. Monday 10:00 a.m. to 17:00 p.m.
Tuesday 10:00 a.m. to 17:00 p.m.
Wednesday 10:00 a.m. to 17:00 p.m.
Thursday 10:00 a.m. to 17:00 p.m.
Friday 10:00 a.m. to 17:00 p.m.
Saturday 10:00 a.m. to 17:00 p.m.
Sunday 11:00 a.m. to 16:00 p.m.